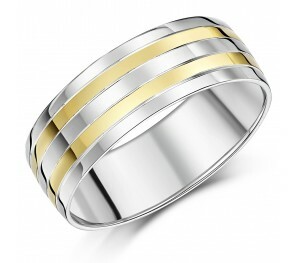 If you are a fashion discerning man, with an eye for sophistication; this ring is for you. 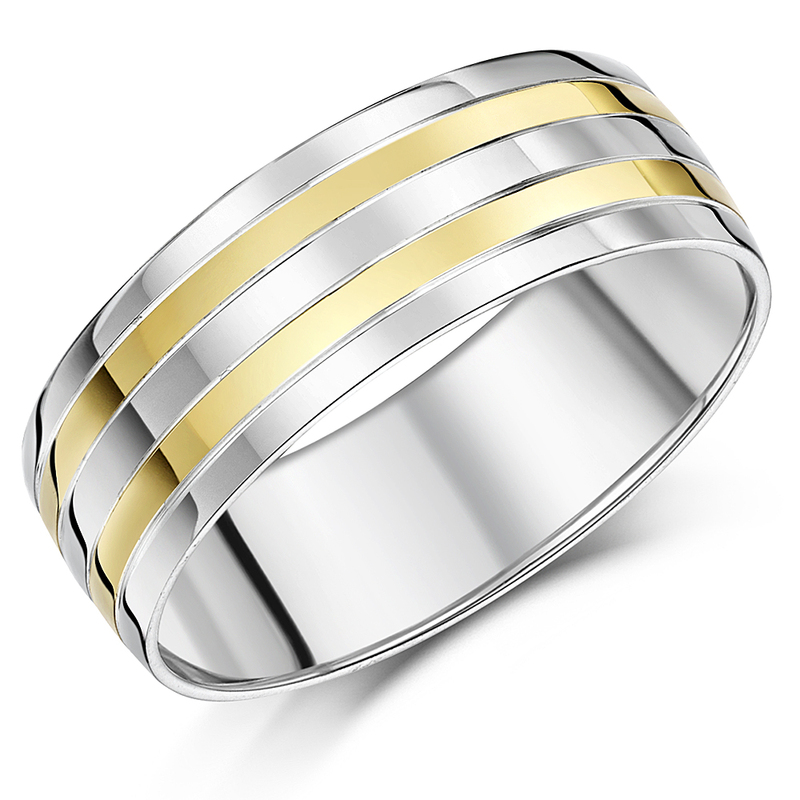 The band's design features a pattern of top quality metals; sterling silver and yellow gold - each of which host numerous advantageous properties, including the hypoallergenic factor; rendering them appropriate for wear on all skin type - including those prone to sensitivity. The item is available in a size range of M-Z and it measures, 6.2gr and 8mm for weight and width respectively. Fully hallmarked and with a 'flat court' profile for the wearer's maximum comfort; purchasing this ring of everlasting value will match the everlasting love of your special day!